Real Estate - Law Offices of George W. Klein & Assoc. The Law Office of George W. Klein & Assoc. represents buyers and sellers of houses, condominiums and Co-ops within the New York Metro Area, including counties of Queens, Brooklyn/Kings, Manhattan, Bronx and Staten Island as well as the counties of Westchester, Nassau, Suffolk and the greater Long Island area. Our offices also represent buyers and sellers in the New Jersey and Connecticut Metropolitan Areas by way of our New Jersey and Connecticut co-counsels. We will guide you through all steps of the real estate buying or selling process. We will prepare or review the purchase contract, draft riders, counsel you regarding your rights of inspection, secure a survey and title insurance, assist you in obtaining financing, if necessary, and resolve all matters needed for the Closing. Because not all Contracts necessarily result in a successful Closing, it is very important that the Contract you sign includes provisions that will allow you to cancel the Contract, if necessary, and if you are the buyer will allow you to obtain a full refund of your Contract Deposit. For example, a proposed buyer with a financing contingency may not be able to obtain the necessary loan and would therefore be able to cancel the Contract; or the buyer may wish to have the option of canceling the Contract if certain other contingencies arise, including if they receive an unsatisfactory inspection report. In any case - before you sign any Contracts, make sure to talk to a lawyer! Having over 25 years of real estate experience, the Law Office of George W. Klein & Assoc. will make sure to include provisions in the Contract that will protect your financial interests and ensure that you receive what you expect. When you buy a Co-op, you become a shareholder in a corporation. Unlike a condominium or a house, you do not own real property. Instead, you own shares of stock and a proprietary lease allocated to your apartment. Because they do not own the building, shareholders have a landlord-tenant relationship with their Co-op. Like any corporation, Cooperative Corporations are run by a Board of Directors elected by the shareholders, along with the assistance of a managing agent. Accordingly, all proposed buyers must submit applications to obtain Board Approval before any Closings can be scheduled. Shareholders also may be subject to special restrictions imposed at the Co-op Board’s business discretion (e.g., subletting, carpeting their floors). These rules and regulations, however, must not violate any existing rights under state or federal law. All these restrictions, regulations and rules of the Cooperative Corporation need to be disclosed to you, including matters dealing with closing fees, flip tax charges, special assessments, proposed maintenance increases. While this involves extra costs, it is also advisable, if practical, to check the Meeting Minutes of the Cooperative Corporation Board to see any upcoming matters you should be aware of as a Purchaser of the Cooperative Apartment. There are many issues that can arise when you are buying or selling a house or a condominium unit and it is therefore important to have experienced attorneys like George Klein and Assoc. working for you. Some of the most common matters that require attention include certificate of occupancy issues, possible violations, judgments and liens, liability for title problems and numerous other issues that can exist at the time of sale or purchase, but not discovered until years later such as work and improvements that may have been made without required permits, Building violations, old mortgages, or liens may have gone unaddressed. Therefore, when buying a house or a condominium, we strongly recommend to all of our clients to conduct a title search and thereafter obtain title insurance to make sure that the title to the property is cleanly conveyed. During the search, the history of the property is researched verifying that all previous claims or liens have been satisfied, thereby allowing a clear title to be issued. 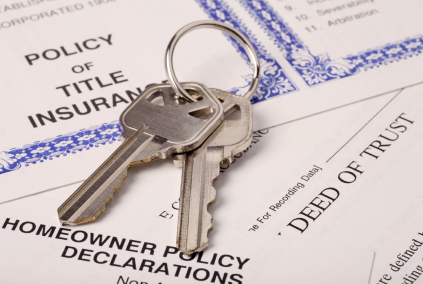 If any claim is overlooked, the title insurance protects the owner from the claim. The Law Offices of George W. Klein also assists business owners in the buying, selling or leasing of their commercial property. We handle the drafting of Contracts and Leases and can prepare all paperwork associated with the purchase or sale. In 1997, Congress passed new, generous rules that effectively eliminate capital gains tax on the sale of most people's primary residence. However, unless you use the IRS Section 1031 Exchange Rule, you will be taxed on your profit if you are selling any other classification of real estate investment property, business property, vacation home, etc. There are certain rules and time limitations that must be complied with to utilize the 1031 Exchange and we will advise you accordingly. Through the use of a “1031 Exchange”, the Law Office of George W. Klein can assist you in putting off taxes you would otherwise pay on the sale of investment property.